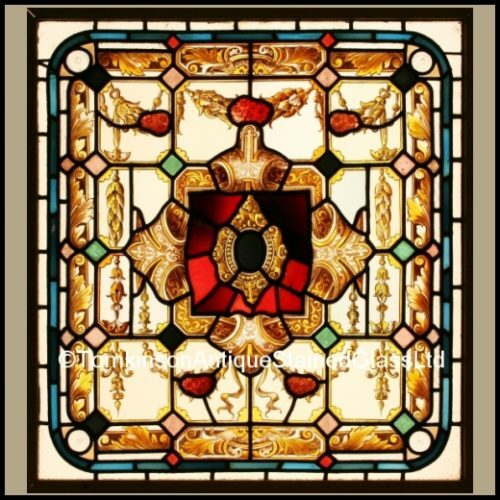 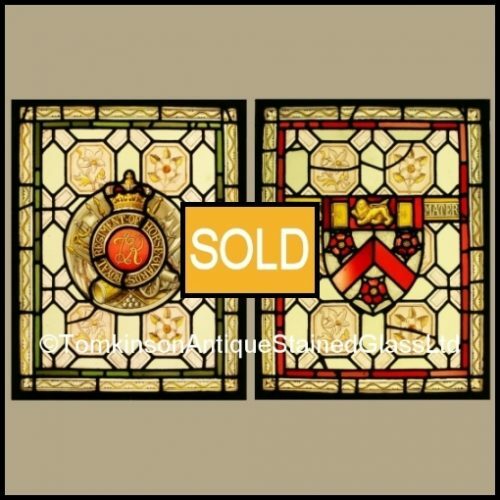 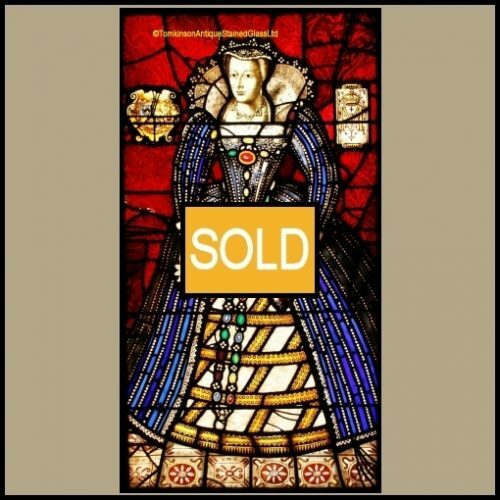 Large antique Victorian stained glass window c1830, leaded with coloured glass hand painted depicting Queen Mary in an elaborate decorative dress. 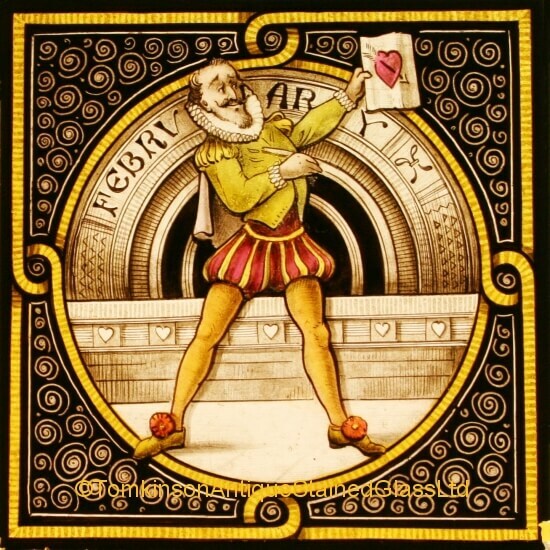 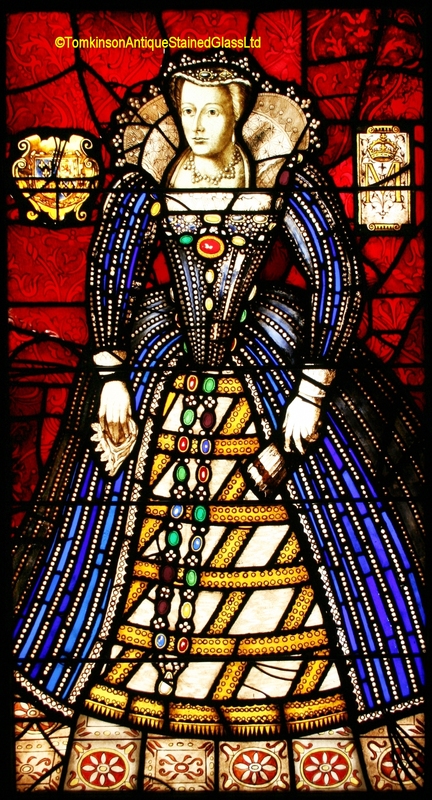 She holds a lace handkerchief and a fan and either side of her is a coat of arms and the letter “M”. 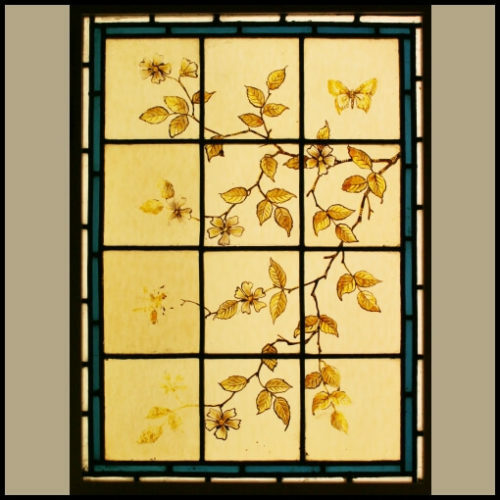 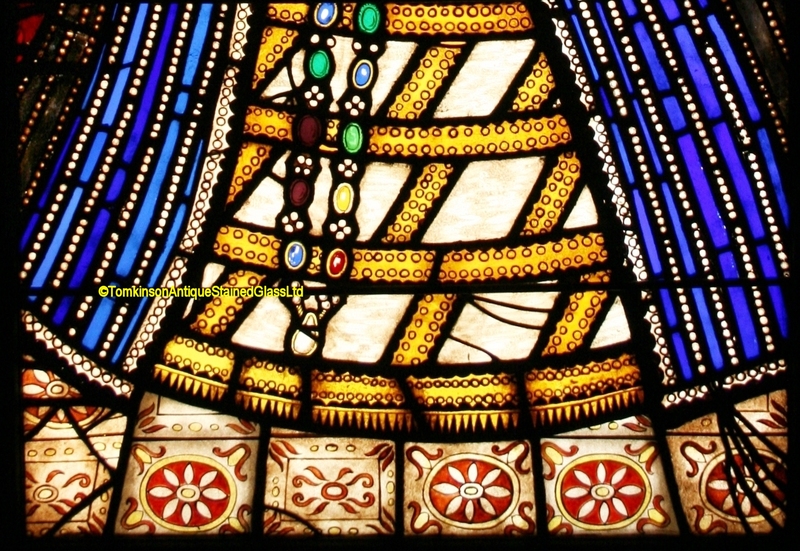 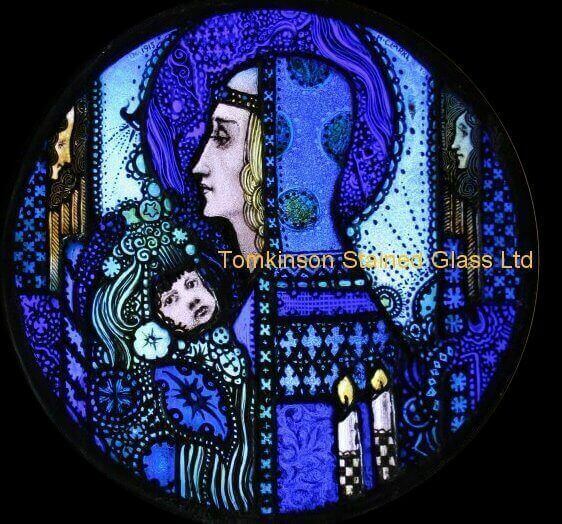 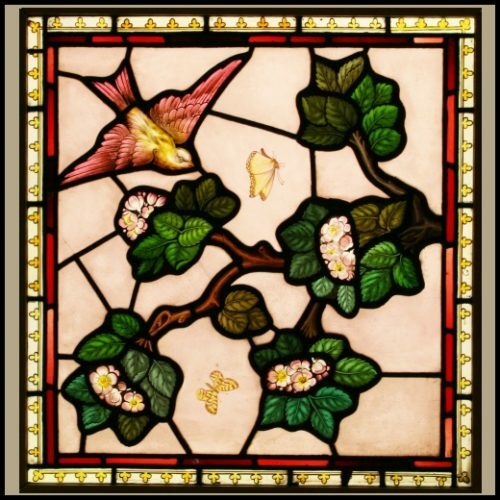 A super decorative window with lead strap restoration keeping the window in original condition. 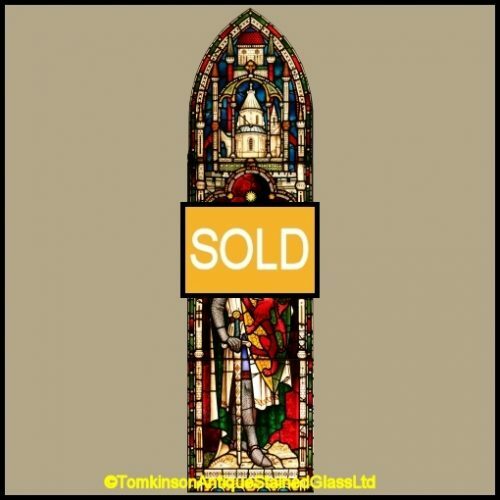 Now in a pine frame. 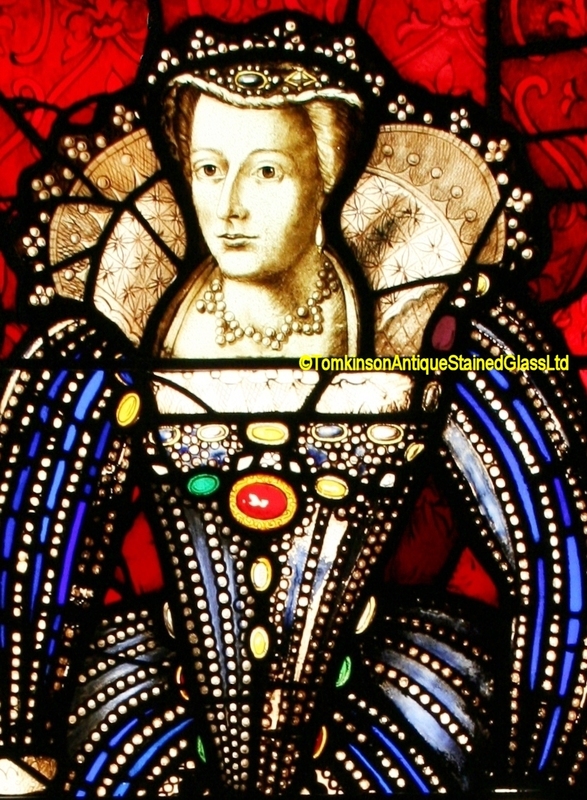 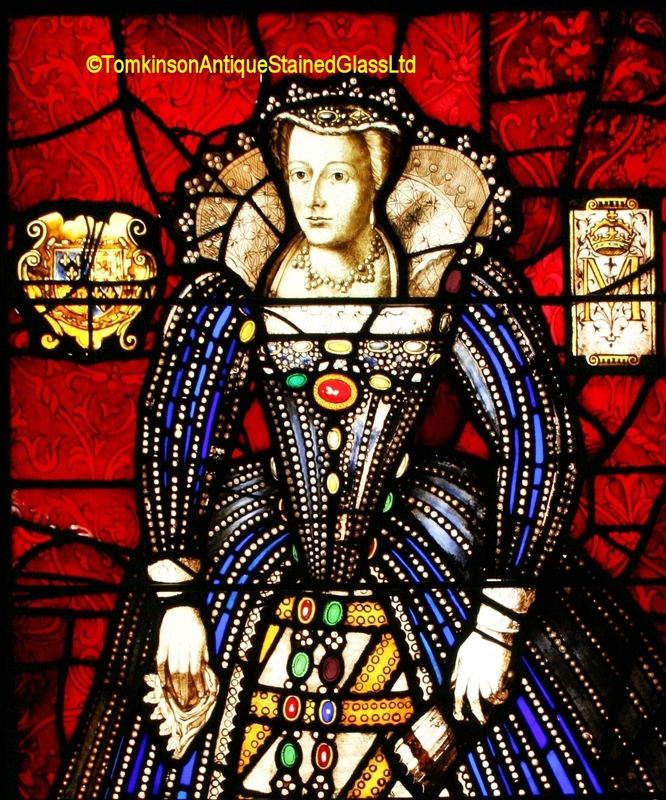 A very similar window of Queen Elizabeth I can be seen in Melford Hall, a National Trust property in Suffolk.